Elsa Papeli was born in Athens, Greece in 1985. At the age of 6 she started her piano education. 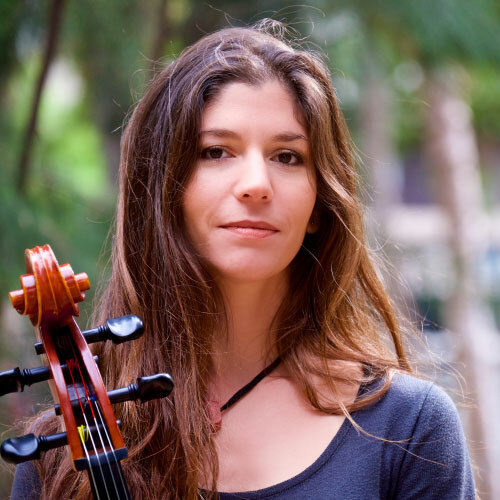 .A few years later she started classical cello studies in the National Conservatory of Athens and she received her cello Diploma in 2011. She has also attended lessons of Ottoman classical music and Makam theory in Filippos Nakas Conservatory. She has participated with the Greek Radio Symphony Orchestra in Athens Concert Hall, as well as with the Greek-Turkish Youth Orchestra in Odeon of Herodes Atticus (conductor: Vladimir Ashkenazy). She has cooperated with composers such as Nikos Mamangakis, Anna Stereopoulou, Pigi Likoudi as well as with the soprano Sonia Theodoridou. She is part of the ensembles: “Athens Chamber Ensemble 2012”, “Cinema Paradiso Project”, “Chrysoula K. & Purpura” etc. She has participated in festivals of classical, pop and folk music in various venues and festivals in Greece (Ardas Festival, Syros Festival, Serifos Festival etc.) and abroad (Cobargo Folk Festival, Rebetiko Festival of Melbourne, Greek festival of Sydney, National Folk Festival of Canberra, and Festival Hellenica in Adelaide). She lives and works in Greece as a cello teacher and performer.